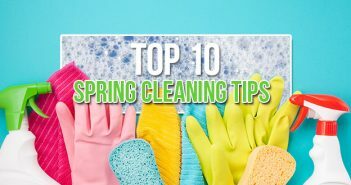 If you have a loved one with hoarding tendencies, it can be difficult to know where to start when it comes to cleaning and organizing their home. Hoarding is a serious psychological disorder that makes throwing away anything a challenge. Before you help a hoarder clean up, you should learn about the disorder and seek out professional help for them. Once you’ve addressed the hoarding disorder with a mental health expert, you can use the steps below to begin helping a hoarder clean. Hoarding tendencies can vary in severity, but if you recognize more than one of these symptoms in your loved one, you need to find professional assistance before moving forward. Assess the situation and decide if you can take this on without a professional organizer. Gauge the severity of the hoard, as well as how many people will help you with the cleanup. You should also consider your loved one’s personal progress. A professional organizer can be a huge help if your resources allow. “A trained professional organizer with hands on experience working with large amounts of clutter will be able to provide sorting and organizing help as well as be able to provide structure to the clean out process,” says Rachel Seavey, Professional Organizer at Collector Care. The first step to cleaning a hoarder’s home is starting a conversation with your loved one who is challenged with a hoarding disorder. Talk about your plans and emphasize the ideas of safety and confidentiality. Discuss how organizing their home will make it safer to live in and communicate that you’re only there for support, not to judge. Professional organizer Rachel Sager says it’s important to involve your mental health professional in these conversations as well. When talking with a hoarder about your plans, use neutral language. “Words like ‘clutter’ or ‘unsanitary’ can trigger [someone], and cause them to become defensive… Using neutral, non-threatening language allows you and [your loved one] to communicate freely without pointing fingers,” says Maeve Richmond, founder and coach at Maeve’s Method. When working with someone who has a hoarding disorder to clean their home, you will most likely be throwing away a lot of waste. As you declutter the home, you will need to have a fast and simple solution for moving the debris out of the home. Renting a dumpster is a good option for a project of this size. You can take your time filling the dumpster and have it removed as soon as your cleanout is complete. Other options for waste removal include curbside pickup and junk removal services. Keep in mind that someone with a hoarding disorder may be tempted to remove items from the debris pile if left alone. With your plan and waste removal strategy in place, you are ready to being cleaning and organizing the home. “Cleaning and organizing are two different things. First declutter the home, then organize and finally, begin cleaning,” says Geralin Thomas, a professional organizer. Follow your plan and go room by room. Using your pre-determined list of criteria, identify and throw away worthless clutter and create piles for items to be kept and items to be donated. Helping someone with a hoarding disorder is incredibly challenging. It will be an emotionally exhausting process, especially when you are working with someone you love. Remember to stay positive and be patient. 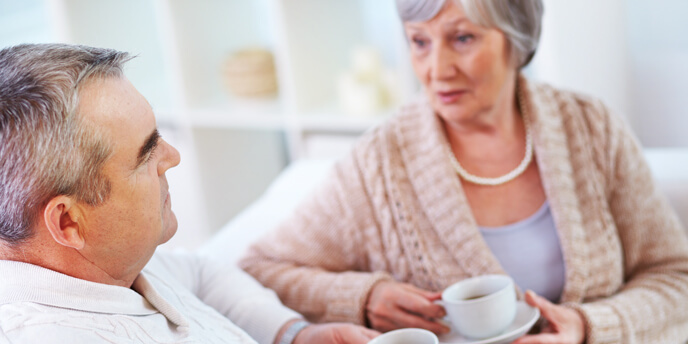 Take frequent breaks and continue to have positive and encouraging conversations with your loved one. Have a hoarding success story? We’d love to hear it in the comments section below. I think getting a dumpster really is a good idea. You don’t know how much stuff they might have hoarded so it’s better to be prepared. I’m sure a lot of it is really cool stuff, but there’s probably also a lot of junk. 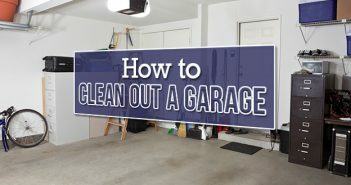 These are some great tips, and I appreciate your advice to rent a dumpster to help a hoarder out. My grandfather is a hoarder, but he has Alzheimer’s and the family wants to move him to an assisted living home. We’ll definitely rent a dumpster and try our best to clean his place up. Thanks for the great post! It’s good to see that there are people that are willing to help others that need help with their hoarding. Getting a dumpster is probably the quickest way to clean up, it’s right there where you need it. Dumpsters are also good for when construction is being done on your house. Hoarding seem like such a scary disorder. I can’t even imagine what all those people are going through. I’ve read stories though about the countless amounts of trash people throw away when they start to clean a hoarders house. I wonder how many dumpsters they go through as well. We are going thru this with a family member right now. We had to intervene as it was not healthy for them to live there. The company that cleaned wore complete masks and suits to dispose of old food etc. It was a real eye opener for her to see them dressed as such. We are not completely done but we have went thru 6 dumpsters. We stink and mice was horrid . Now we need to help them to continue and not return to the dump they had prior. Husband will not seek help. Hoarding getting worse not sure what to do. I have the same problem. My husband doesn’t want help. Last Summer I had my cousin come help me clean and get rid of some stuff – his reaction was terrible. He knew we were going to be working on the clutter and cleaning, but he still freaked out. I don’t know where to go from here – but I believe this article is correct when they say to get professionals to help. This is a deep-seated problem. Sue & D… I’ve put up with it for 8 years & I’m done ! I started using my vacation time without telling my husband, yes, I realize this isn’t something everyone can do, would want to do, or feel comfortable doing but, for me it was the only way. I haven’t felt happy or comfortable in my home for years & if I disclosed to my husband when I planned on taking a vacation days & what I planned on doing with them, I’d never be able too. I’m don’t mean to sound mean, or cold because I’m really not but, I’ve so reached the point that I don’t care if , or how much he complains once he discovers / or if he discovers, what I’ve gotten rid of. If he hasn’t used it in 8 years, it’s gone. I have no use for five air conditioner motors, when my air conditioner works fine with the one it came with. I don’t know if any / some work, some don’t, some are for parts, & I don’t care, they are history. It’s definitely at least in my husbands case, a learned & taught behavior & it’s done to fulfill a need or needs that weren’t ever met or fulfilled. It’s provides some sense of control even know it’s beyond out of control & in some cases, gives a sense of comfort, soothing or security. Similar to someone who goes for food to fulfill those things. At least that’s been my observation. I wish everyone much patience & don’t be afraid to handle it however you are able because we are dealing with something that there isn’t a set way to handle, each of our situations are the same yet, very different. It’s always a delicate situation when working with a person with hoarding behaviour. I recommend talking to a professional organizer with experience in chronic disorganization. There is a great list of these P.O.s on the Institute for Challenging Disorganiztion website. My boyfriend his taking care of his grandmother who has a hoarding problem. Another thing is she also have alzheimers. She remembers what she has but she’ll move something and loose it in the mess then blames the people around her for stealing or moving her stuff. How do you approach that? In a situation like this, it’s best to talk to a doctor or mental health professional to find the best strategies for helping your boyfriend’s grandmother. In the meantime, these resources from Caring.com and this article from AgingCare.com might be helpful for you. Please note that we’re not doctors and you should always get a professional opinion before using any of this information. We wish all of you the best. I have a generalized anxiety disorder and am on mood stabilizers for the issue. I have long been aware that many of my family also have anxiety issues and many are hoarders. My parents and my aunt all hoard to the point of uncleanliness. My sister and I are very aware of this issue. My sister spent one day helping me with my overstuffed bedroom closet. We got rid of seven boxes of. Loathing and shoes. Most of it went to charity. I have a friend that is just itching to help me declitter, but she doesn’t understand hoarding, nor intrinsic value. I fear any help that she offers. I’ve just accepted the fact that it is a hoarding problem my partner suffer from. Until now I have just been thinking: “She has unusually hard to get rid of things, but not as bad as an actual hoarder”… though I guess also this is a problem that can have different levels of severeness. “Can be useful someday” is something I’ve heard many times… from empty boxes to old magazines, toys, outgrown clothes, containers, etc. etc. Hand in hand with a compulsive shopping behaviour. Walks into a shop to buy two things and comes out with twelve, proud because she got “it was the last one” or “got three for the price of two”… and then it ends up lying there unused. But of course, like everything else, tagged as “can be useful someday”. It’s not just old junk that’s lying there though, which makes it a bit harder to get through with an argument. Much of it has value in it. Not to US, but it can easily sell. Things like child seats and baby carriages would get sold instantly… but since we don’t have a problem with money, the selling argument doesn’t have much effect either. To all this comes my own problem, which just makes everything worse: Low self esteem. Grade 10 conflict fear. So for years I have been walking just grinding my teeth about not enjoying life in my own home, but not saying anything in fear of insulting her. I guess nothing will be solved until I have therapy first. i have a housemate who is hoarding the room she stays in. Its gotten worse over the two years she has lived here. Piles of clothing and items, food, dirty dishes, bins, nearly stacked to the ceiling. She also leaves food to rot in the refrigerator. I am on disability and have no resources. The problem is bigger than I can handle. I believe she has some emotional issues based on previous interactions. I have sympathy, but also am annoyed. I don’t want to have to deal with this anymore. I am resolved to try to help her but really, if i get much resistance, I think I’m just ready to be done with all of it. Any suggestions on where I can obtain the help she’ll need with no money? Hi Naomie, thanks for commenting and sorry to hear about your situation. The help available will depend a lot on your location, so if you’re in the US, you might start by calling your local 2-1-1 number. They can help point you to resources in your area.